December 2011 Newsletter from Pleat & Perry, P.A. | Pleat & Perry, P.A. Home » December 2011 Newsletter from Pleat & Perry, P.A. Amy A. Perry, Senior Partner/Mediator/Arbitrator, was selected into the 1st Special Operations Wing Honorary Commanders Program at Hurlburt Air Force Base and has been actively participating in the program. The Honorary Commanders Program is a year-long program designed to build and maintain solid, mutually beneficial relationships between the local communities and Hurlburt Field. The program allows select local civic leaders frequent opportunities to visit Hurlburt Field and learn about the mission, participate in base functions and express their views on issues of mutual concern. They will use this knowledge to help the U.S. Air Force force foster understanding and support within the local community. The honorary commanders tour each of the four groups in the wing during their year-long tenure. In addition to the quarterly tours, the honorary commanders will be invited to base events such as awards ceremonies, Operation Homecoming and changes of command, and they will be immersed into their assigned unit as much as possible, giving them hands-on experience in the program. Additionally, their Hurlburt Field commander counterparts are encouraged to immerse their respective honorary commanders into as much of their field as possible. The commanders represent various local communities and are current leaders in their respective communities and they have a very limited military or government contractor background. David B. Pleat, was named to the First Circuit Bench/Bar Professionalism Committee by the Honorable Patricia Grinsted, Okaloosa County Judge. The committee acts as liaison between the Bar and the judiciary; plans, implements and coordinates programs for better understanding and to improve relations between the Bench and the Bar; conducts the annual Joint Bench/Bar Conference with the judiciary and the local and/or state Bar. He was also selected as the Chairmain of the Communications & E-Blasts Committee. David B. Pleat, Esq., Senior Partner in the law firm of Pleat & Perry, P.A., located in Destin, was named to the HandsAcrossTheSand, Inc. Board of Directors. Handsacrossthesand is a non-profit, worldwide environmental organization dedicated to preserving our coastlines, supporting clean, renewable energy and breaking our dependence on fossil fuels. To learn more about Hand Across The Sand, please visit http://www.handsacrossthesand.com/. 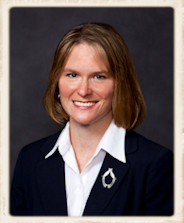 Elizabeth LaFollette, Esq., Of Counsel, of the Destin law firm of Pleat & Perry, P.A. has been elected to serve as President of the Kiwanis Club of Destin for 2011-2012. 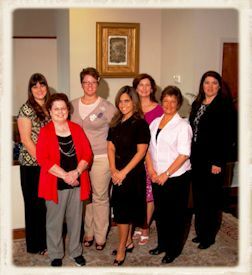 Ms. LaFollette was also selected as the 2011 Kiwanian of the Year. Welcome our newest associate, Patrick King. Mr King graduated from the University of Central Florida in 2005 with a degree in Criminal Justice (B.S.). He attended the Cumberland School of Law at Samford University in Birmingham (J.D. 2009) on the prestigious Presidential Scholarship and was admitted to the Florida Bar in 2009. During law school, Mr. King interned with U.S. Chief Magistrate Judge T. Michael Putnam for the United States District Court for the Northern District of Alabama, the Alabama Attorney General's Office working in the Criminal Appeals and Environmental Protection Divisions, the Florida Attorney General's Office working in the Tort Litigation Division, and with the Jefferson County District Attorney's Office in Birmingham. 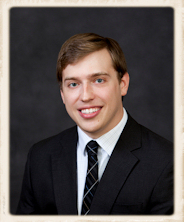 Mr. King recently practiced law as an Assistant State Attorney for the 1st Judicial Circuit in Shalimar. 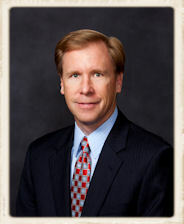 During his two years as felony and misdemeanor prosecutor, Mr. King prosecuted numerous DUI, BUI, drug possession/sale, drug trafficking, firearm, theft, burgarly, domestic violence battery, aggravated battery, aggravated assault, Habitual Felony Offender, criminal traffic violations, and other cases. He has tried over a dozen cases, mostly jury trials. In addition, Mr. King attended Advanced DUI training with the Florida Traffic Safety Prosecutor's program and has taught DUI training courses at both the Okaloosa County Sheriff's Office and the Fort Walton Beach Police Department. 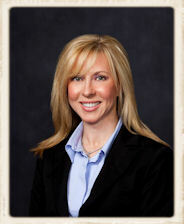 He practices in the area of criminal law and general civil litigation. The paralegals and closing agent along with the Director of Operations recently attended a seminar on the "Strategies for Exceptional Customer Service". Pleat & Perry strives to offer continuing education and professional learning opportunities to its staff. Everyone at Pleat & Perry, P.A. wishes you and yours a peaceful and wonderful Holiday season, a Merry Christmas and a Happy New Year. For more information about Pleat & Perry, P.A. 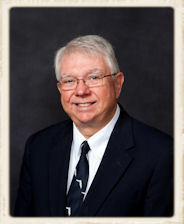 or to make an appointment with one of our lawyers, please call (850) 650-0599 or visit www.pleatperry.com.